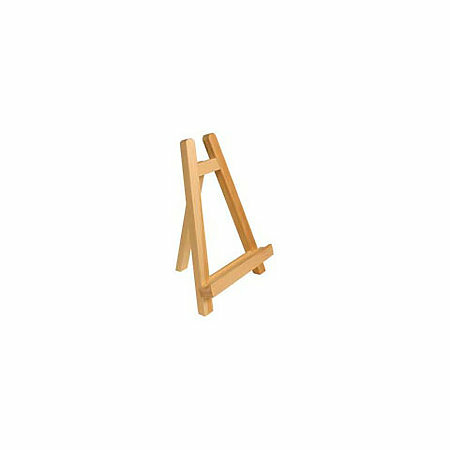 Made of smooth, hand-sanded pine, this mini lyre table top easel is ideal for displaying artwork, photographs and signs up to 12". No assembly is required. Easel measures 7-1/2" x 10-1/2".